Charles is a puppet of a stop motion movie. When he goes to sleep and turns off the lights, his fear of dark turns everything around him. Marcos and Eduardo are two beginner film directors. Neither Charles nor Marcos and Eduardo can predict the future of this sinister stop motion. The Carvalho Brothers are 24 year old and live at Morro do Salgueiro, a favela in Rio de Janeiro. Marcos and Eduardo are twin brothers, black and graduated in film at PUC-Rio, through a scholarship. They are both screenwriters, directors and producers. 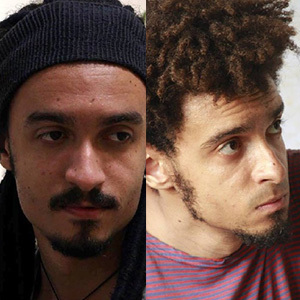 Among their works are: Chico (2016), Boa noite, Charles (2016) and Alegoria da Terra (2015).